Winter miles make Summer smiles, as the old saying goes. But as the leaves fall and your motivation wanes, it’s easier said than done. Enter the turbo trainer. 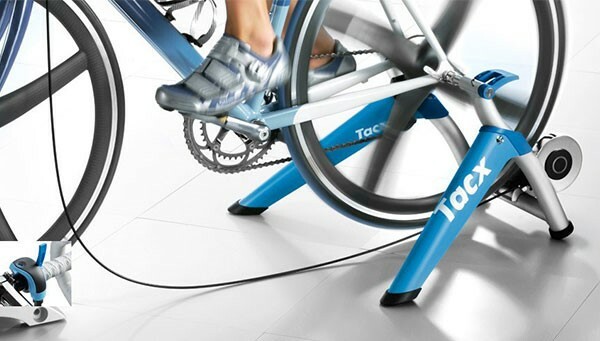 A turbo trainer lets you bring your bike indoors and ride your bike from the comfort of your front room. Leave your front wheel attached, mount the rear of the bike in the stand, tighten down the roller, and start pedalling! 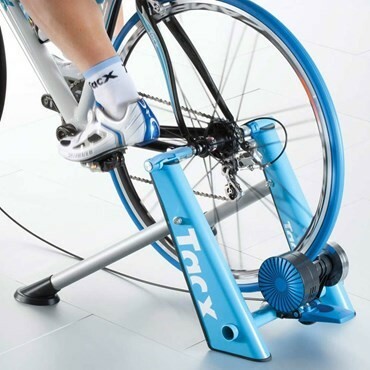 As you pedal, the trainer provides resistance to the wheel, which gives you a workout. Turbo trainers are great as a year-round training tool, but it’s during the autumn & winter months that their benefits really shine through. 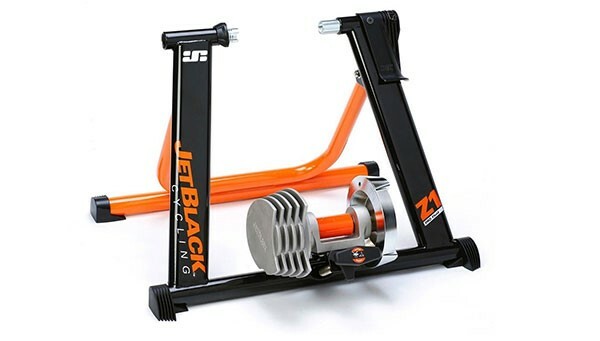 Turbo trainers can be used with all types of bike. Many modern trainers will accept wide mountain bike tyres as well as narrow road tyres, so whatever you ride, you can keep training on the bike you would normally be riding outdoors. Simple, inexpensive and effective. 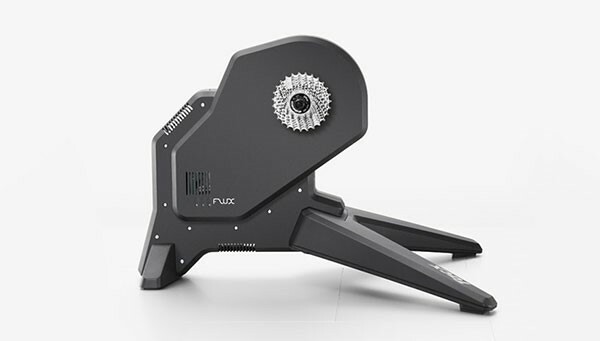 Wind/air turbo trainers have a fan directly connected to the roller which is driven by your rear wheel. The faster you pedal, the faster the fan spins and the more resistance it gives. 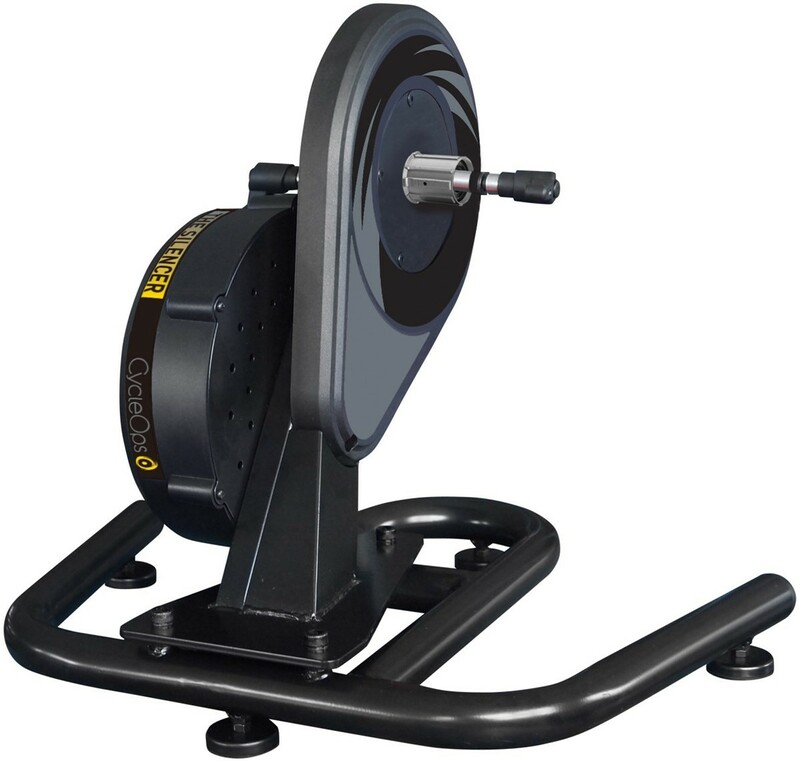 There’s no need for a manual resistance control like you find on a magnetic turbo trainer; just change into a higher gear and the resistance will increase with wheel speed. Turbo trainers are renown for making a bit of noise. Unsurprisingly, because they generate resistance entirely by pumping air, wind trainers are the noisiest type of turbo trainer system. 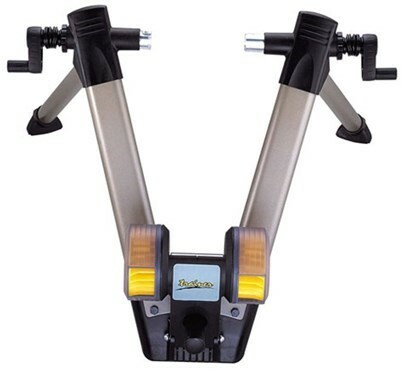 Nevertheless, they’re affordable enough even for the occasional fitness trainer, and are built into compact stands which can be folded or partially disassembled for convenient storage. 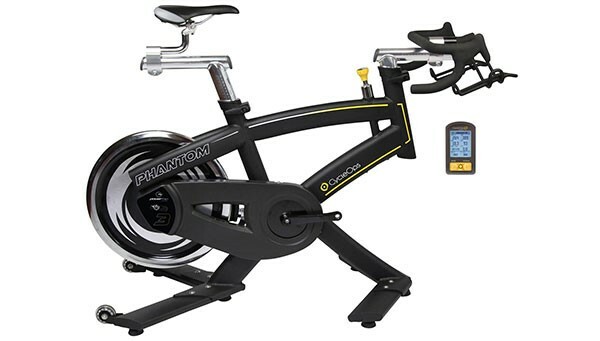 Wind trainers also typically provide a lower resistance than other types of trainer, so they are better suited to beginner fitness cyclists, or riders simply aiming to be a bit more active between rides. As the name suggests, magnetic turbo trainers use a series of magnets to resist the rotation of the rear wheel. 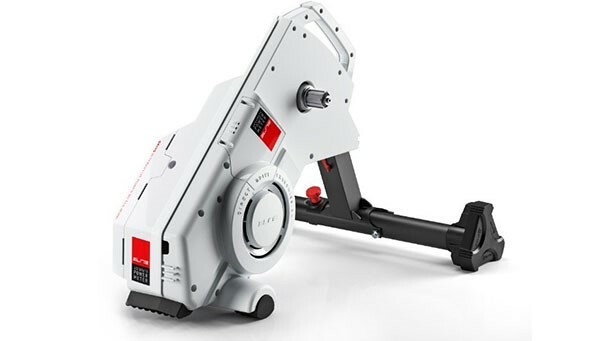 Although some expensive models are automatic, magnet trainers are usually adjusted via a remote lever which you can clip onto the handlebar; turning the lever moves the magnets closer or further away from each other, so you can change your resistance level on the fly. 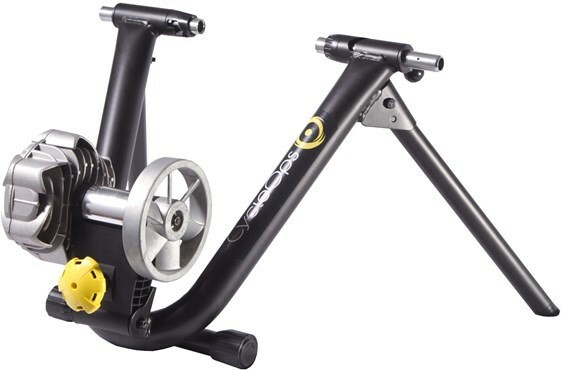 Magnetic turbo trainers are a lot quieter than wind trainers, however they are more expensive. They’re capable of providing greater resistance than wind trainers too, making them more suitable for amateur racers and enthusiasts. 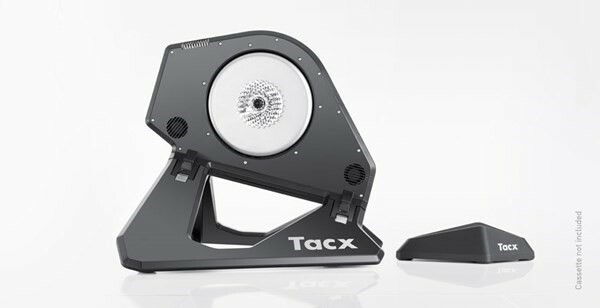 As with wind trainers, most magnetic turbo trainers can be compactly stored away when not in use. Instead of spinning a fan in the air, a fluid turbo trainer generates resistance by spinning a propeller (or an impeller) inside an enclosure filled with oil. The beauty of this system is that, by manipulating the properties of the oil, manufacturers can tune fluid trainers to have a progressive increase in resistance. Take a look at the chart below which shows how the resistance of the CycleOps Fluid 2 turbo trainer increases with speed. This much more closely resembles what riding a bike is like in the real world – the faster you go, the more wind resistance you encounter and the harder you have to pedal. 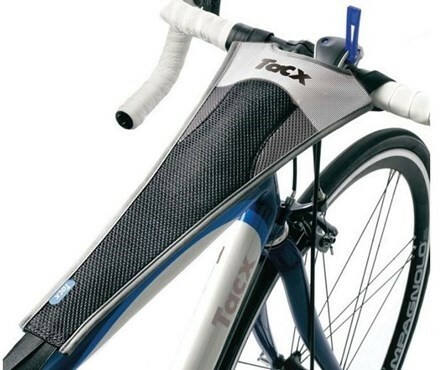 Just like wind trainers, to increase the resistance level you simply need to pedal faster. Fluid trainers can generate quite a lot of resistance, so they’re perfect for racers and serious fitness fanatics. They are among the quietest turbo trainers available too, although some have additional cooling fans to stop the oil overheating which do make a bit of noise. They’re usually also more expensive than wind or magnetic trainers. Once again, this type of trainer can be neatly packed up and tucked away when you’re finished with it. Clever. Quiet. Realistic. Direct drive turbo trainers appear towards the upper end of the price range, so you can expect the best performance from them. 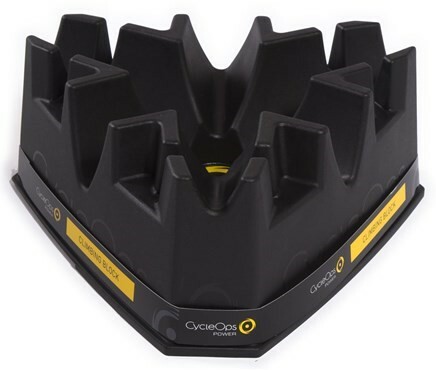 Inside, the mechanism is typically either a fluid or magnetic driven resistance, however, high spec machines like the CycleOps Silencer Direct Drive Mag uses fast-reacting electromagnets to provide resistance at an impressively quiet 59dB. Other great benefits of direct drive turbo trainer are that they won’t wear out your rear tyre as you power through the miles, plus you’re less likely to scratch your bike while mounting & un-mounting it from the frame. They’re capable of very high resistance ratings too, which is essential for professional racers. On higher end models, the resistance level can be set to increase or decrease automatically as your route takes you up and down hills, so you can climb Mont Ventoux without needing a passport. Depending on the model, smart trainers can also record your (wheel) speed, cadence, power output, heart rate (and so on) using a bundled app for your phone/tablet, so rather than relying on gut instinct and ‘feel’ to gauge your training improvement, you can measure it directly every time you ride. 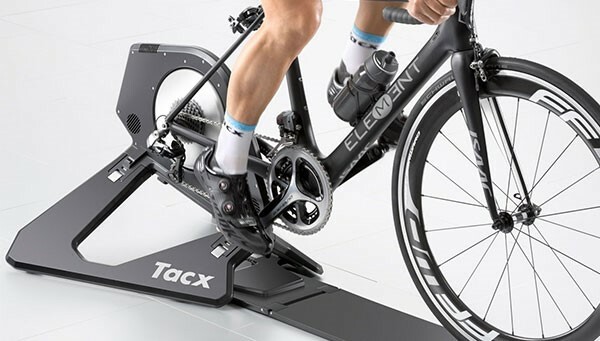 Riding indoors on your turbo trainer delivers a very similar workout to riding outdoors, however there are a few differences which it helps to prepare for. Keeping the bike level, protecting it from sweat and keeping yourself cool are just some of the things you might want to think about. Direct drive turbo trainers don’t need a special tyre, but quite often they will be supplied without a cassette. Ideally, it’s best to use a cassette with matching gear ratios to the one you normally use on the bike, as this gives a better representation of the gear ratio performance you’ll have when you ride outdoors. By lifting your back wheel off the ground and onto the roller, your bike is pitched forwards and can feel a little uncomfortable to ride. Riser blocks go under the front wheel and help level-out the bike again to give you a more natural feeling riding position. They also give the wheel extra lateral support and help keep the steering in place while you pedal. Some turbo trainers come supplied with a riser block, while others come without. When you ride outdoors, the wind helps your sweat evaporate away from your skin, keeping you nice and cool. However, whilst cycling indoors on a turbo trainer, sweat will quickly bead up and start dripping onto your bike and the floor even if you set up some fans to help cool you down. The salt content in your sweat will quickly start corroding your paint work and particularly your drivetrain & exposed bolt heads. Putting a sweat cover on your bike catches those drops and protects it from corrosion. As mentioned, it would be wise to set up some cooling fans around you, and open some doors & windows to let the air flow through the room you’re riding in. It’s not essential, but it will leave you feeling more comfortable on the bike, so you can pedal for longer and get more out of your workout.